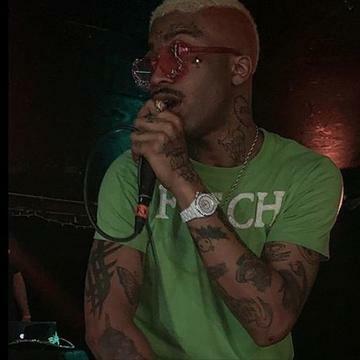 Lil Tracy Drops Off New Song "This Is It Chief"
Home>New Songs>Lil Tracy Songs> Lil Tracy Drops Off New Song "This Is It Chief"
Lil Tracy unleashes his latest single in honor of Lil Uzi Vert. Lil Tracy made some serious waves in 2018. While the rapper kept a relatively low profile, for the most part, he delivered a ton of music including some pretty dope collaborations. He linked up with Lil Uzi Vert twice within the year. The Philly rapper joined Tracy on "Like A Farmer (Remix)" and Yung Bans' "Let's Play." Now, he returns with his latest track, "This Is It Chief." Lil Tracy is back with his latest track, "This Is It Chief," which, in a way, seems to be an approval of Uzi's new track. The rapper shared the song on Soundcloud, adding, "hey uzi we love you and wish you could drop music" to the title in parentheses. The rapper flexes his volatile vocal range over Ginseng production. Peep Tracy's new song below. SONGS Lil Tracy Drops Off New Song "This Is It Chief"